Kevin-Prince Boateng is a German-Ghanian professional footballer. Check out this biography to know about his birthday, childhood, family life, achievements and fun facts about him. Kevin-Prince Boateng is a professional football player who is under contract with the Italian club ‘Sassuolo’ but currently plays (on loan) for the Spanish club ‘Barcelona’. 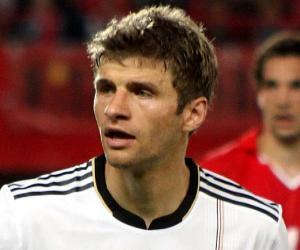 He is German by birth, but holds citizenship of both Germany and Ghana. 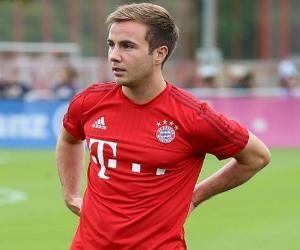 On the football field, he conventionally plays as a midfielder in the center-forward position. An experienced player, he is well known for his speed, technical skills, creativity and aggression on the field. Growing up in a tough neighbourhood in Berlin shaped his character and his talent for football led him to start his club career at a very young age. With his versatility, strength and skills, Boateng played for many premier European clubs like ‘Tottenham Hotspur’, ‘Portsmouth’, ‘Milan’, ‘Las Palmas’ and ‘Barcelona’, as well as the Ghanaian national football team in various FIFA World Cup matches. 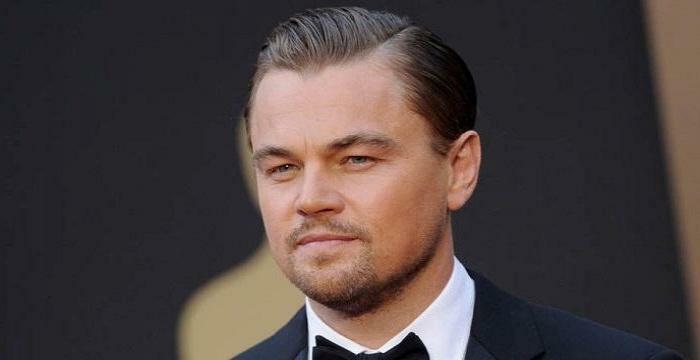 He has won several awards throughout his career and was also named the UN ambassador for anti-racism. His gymnastic post-goal celebrations are quite popular with fans. He is part of an illustrious sporting family and continues to play exceptionally well for his country and club. Kevin-Prince Boateng was born on 6 March 1987 in Berlin, Germany to a Ghanaian father, Prince Boateng and a German mother, Christine Rahn. He has an older brother, George Boateng and a younger, paternal half-brother Jérôme Boateng and a paternal half-sister, Avelina Boateng. Boateng’s father left his mother very early in Kevin-Prince’s childhood on account of marital discord. Kevin grew up in Wedding, a rough neighbourhood of Berlin, with his mother and older brother while his younger brother lived in an affluent neighbourhood with his father. In 1994, Kevin-Prince Boateng started his football career at the tender age of six with the ‘Reinickendorfer Füchse’ club. Later that year, he signed up with ‘Hertha BSC’. Boateng played his first match for ‘Hertha BSC’ on 31st July 2007, at the age of 20. In July 2007, ‘Tottenham Hotspur’ signed on Boateng for £5.4 million under a four-year contract. Boateng’s time at ‘Tottenham Hotspur’ was short-lived and in January 2009, he was loaned to ‘Borussia Dortmund’, where he played ten Bundesliga matches for the club but was eventually suspended for aggressive behaviour on the field. In August 2009, Boateng signed a three-year contract for a reported fee of about £4 million with English Premier League club, ‘Portsmouth’. Boateng played for the Ghanaian national football team, in the 2010 FIFA World Cup after receiving his Ghanaian passport the same year. It was also the first time he played on opposite sides with his professional footballer brother, Jérôme Boateng. In August 2010, on a three-year contract for €5.75 million, Boateng moved to Italian Serie A club ‘Genoa’. 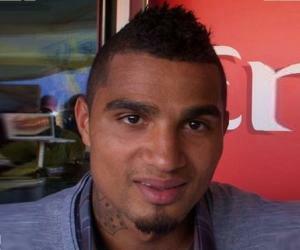 In June 2011, Boateng moved to ‘A.C. 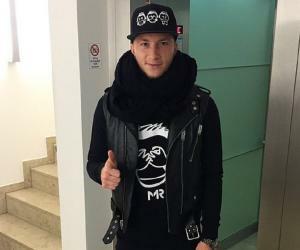 Milan’ for €7 million on a four-year contract. Boateng announced his retirement from international football in November 2011, but changed his mind in a few years. In January 2013, Boateng and many other ‘A.C. Milan’ players walked off the pitch in protest of the racist chants by some ‘Pro Patria’ fans. 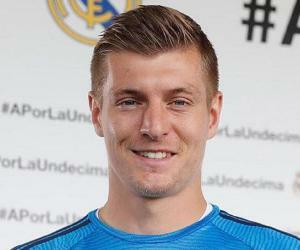 In August 2013, he transferred on a four-year contract to German Bundesliga club ‘Schalke 04’ for €10 million. In October 2013, Boateng scored the winning goal that helped Ghana qualify for the 2014 World Cup in Brazil. In June 2014, Boateng played against Germany and his brother again, as part of the Ghanaian national team in the 2014 World Cup. In 2015, Boateng was suspended and eventually removed from ‘Schalke 04’ for poor behavior and performance. In early 2016, Boateng went back to ‘A.C. Milan’ but departed in a few months to join ‘Las Palmas’, a Spanish La Liga club. Boateng’s stint at ‘Las Palmas’ was short-lived and the contract was cancelled by mutual consent in August 2017, after which he moved to ‘Eintracht Frankfurt’. In July 2018, Boateng signed a three-year contract with the Italian club ‘Sassuolo’. In January 2019, Boateng became the first Ghanaian player to play for the Spanish La Liga club ‘Barcelona’ when ‘Sassuolo’ loaned him to the Spanish club as a backup for Luis Suárez until the end of the 2018-19 season, in the club’s bid to win their sixth European Cup. In 2005 and 2006, while at ‘Hertha BSC’, Kevin-Prince Boateng won the ‘Fritz Walter Bronze Medal Award in the Under-18 category’ and the ‘Fritz Walter Gold Medal in the Under-19 category’ respectively. In 2005, German ‘Das Erste’ TV sports show’s viewers voted Boateng’s long-distance goal while playing for Germany in the UEFA European Under-19 Football Championship as ‘Goal of the Month’. In September 2009, Boateng was named Portsmouth’s joint ‘Player of the Month’. In October 2011, Boateng scored a hat-trick as a substitute player in a Serie A match and became the second player in Serie A’s history to do so. Following his mid-match walkout in response to racist remarks by ‘Pro Patria’ fans, Boateng was appointed the first global ambassador for the FIFA anti-discrimination taskforce in February 2013. In March 2013, he became the UN ambassador for anti-racism and delivered a speech at the UN Office in Geneva in that capacity. In October 2013, ‘Schalke 04’ fans voted him as the ‘Player of the Month’. Boateng was married to his childhood sweetheart, Jennifer Michelle, from 2007 - 2011. Boateng’s cheating and philandering ways led to their divorce. Boateng has a son with Jennifer, Jermaine-Prince. Boateng married Italian TV presenter and model, Melissa Satta, in June 2016 and they have a child together, Maddox Prince. 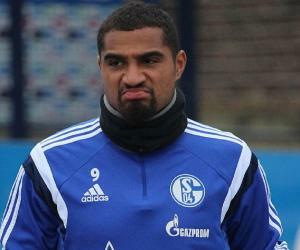 Following his divorce in 2011, Kevin-Prince Boateng became a regular smoker. He was once pictured having a cigarette and a beer right before taking a routine drug test. In 2009, Boateng faced a four-match suspension imposed by the German Football Association (DFB) on account of kicking an opposing team’s player in the head. In May 2010, during the FA Cup final, Boateng was accused of severely injuring and ending the 2010 World Cup selection chances of ‘Chelsea’ player and captain of the German national football team, Michael Ballack. Boateng claimed that Ballack had slapped him earlier in that match. In June 2014, just a few hours before Ghana’s group final match against Portugal, Boateng was suspended and sent home after he had allegedly verbally abused his former manager, James Kwesi Appiah. Boateng can speak German, English, Italian and Turkish and understand French and Arabic. As a child, Boateng was known as ‘The Ghetto Kid’ because of his street-smart skills and the ability to easily mingle with people from various nationalities. Under the alias, PRIN$$ Boateng, Kevin Prince released a rap song ‘King’ in August 2018, as an ode to his love of singing and dancing. The map of Ghana is tattooed across one of Boateng’s arms. At World Cup matches, Boateng and his professional footballer half-brother, Jérôme Boateng, played twice on opposite sides. Boateng changed his playing style from defensive to a more creative, technical, advanced playmaker style when he signed up to play for ‘A.C. Milan’. Boateng’s signature backflip as part of his on-field goal celebrations is very popular with fans.